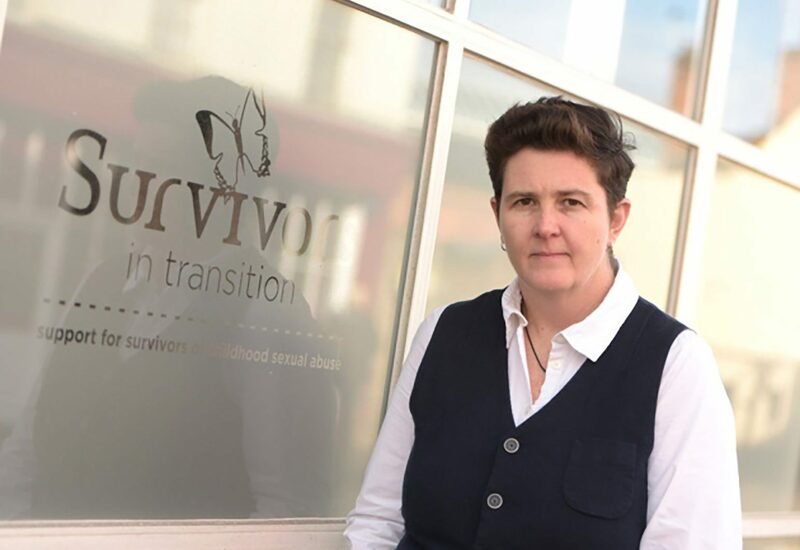 Along with my partner Clare, we founded Survivors In Transition (SiT) in 2009 – initially set up to provide peer support for women who had experienced sexual abuse in childhood. This was largely driven by Clare’s own experience and a dearth of support available in Suffolk as a whole and Ipswich in particular. We gaily set about doing some good and contributing to our community. Despite Clare having received the bulk of her therapy in our native Zimbabwe, Ipswich was our home and where we had decided to settle. We hired a room in a business centre for one afternoon a week and managed to get the local paper to advertise the group meeting time. Over time the group grew and we finally had more attendees than volunteers; which was we took as a sign we were doing the right thing. In late 2010 we were contacted by a man who was desperate for some support. I gave him some time over the phone but am still ashamed to admit we turned him away as we only offered a women’s group. This man’s voice has never left me. The desperation, the obvious fatigue from trying to find some support and the fact we’d entered the circle of people who had so obviously let him down haunted me personally. So, we had a think and discussed whether there was a need to offer support for men and agreed that we would give it a go… surely we just offered the same provision as we did for women and the men would come streaming through the doors of the grubby community centre we were using…in their droves? Surely? The volunteers we had at that time will attest to many a frustrating, expectant evening waiting for men to ‘turn up’ to our drop in sessions. More thinking. Maybe we’d got it wrong, maybe we should go back to just women? But the man’s voice still haunted me – and I wanted him to know we’d changed and could help him too. More thinking – maybe we needed to offer men something different? Maybe they don’t engage like women! We changed our offer to men in 2011 and haven’t looked back. We offered them a variety of ways to engage with us, without having to walk in any actual door – until they are ready to do so. We’ve learnt that it takes men 3-4 times as many ‘non contact’ engagements with us than it does women; less than half the amount of men than women we work want to take part in group work and men generally need a few less therapy sessions than women. But that’s it. We’ve worked hard to ensure parity in our organisation – that the offer to men and women is the same and that they equally have as many ways as possible to engage with us, ensuring the door is equally wide open for anyone to walk through, when they are ready. Recognising that male survivors of sexual violence were not well represented or supported in Suffolk and that we had a growing need for specialist male services and ever increasing demand from men, we approached our PCC in 2015 with a proposal for a Male ISVA, which we were successful with, and we appointed a man into the position – not without controversy – we were constantly asked would men who had experienced sexual abuse or violence engage with a man? What if they had been abused by a man….Blah blah. We held firm, as we believed they would engage with him – and they did. We had consulted service users prior to this – the majority of them felt that as long as they were listened to, believed and respected that the gender, race or any other demographic of the person offering support wasn’t important. So over the years we’ve become the voice for all survivors in Suffolk, including male survivors and it feels like we’ve been the dissenting voice at the back of the class saying ‘…and men too’ for years, so I was personally thrilled to attend our last update on the Suffolk VAWG strategy and be informed that they had revised the name of the strategy which is still work in progress to Violence Against Women and Girls, Men and Boys (VAWG,MB). No more ‘and men’ in brackets. We’ve worked hard to ensure equality in our service and I’m pleased that male survivors are finally being recognised in our county’s strategy and plans and its my personal aspiration that no survivor in Suffolk gets turned away again, ever. I’ll never know what happened to that man who called in 2010, and that’s on me. But not again. “The Violence Against Women and Girls, Men and Boys Multi Agency Strategy is an important piece of work for us here in Suffolk. Whilst we acknowledge the gendered nature of domestic and sexual violence, as a partnership we recognise that both females and males can be victims and perpetrators and felt that our Strategy and action plan should reflect this. Fiona and team are proud to be part of the Male Survivors Partnership and look forward to seeing the development of the Male Service Standards.